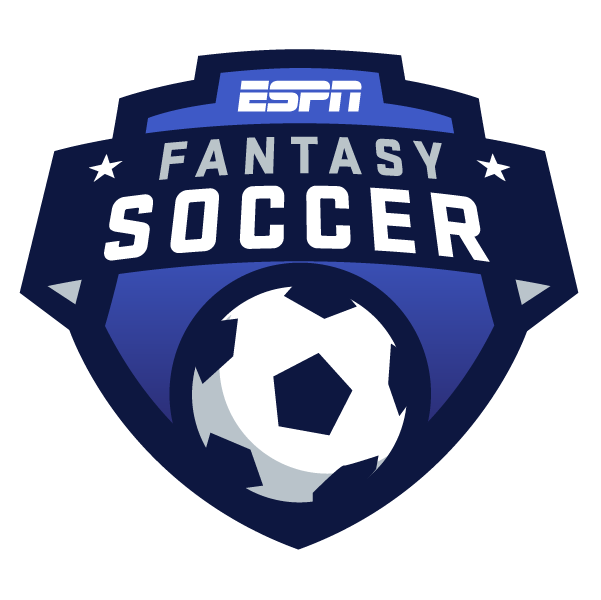 One of the neat things about ESPN's fantasy soccer game is that you can make changes to your lineup during the course of the weekend. In other formats, your lineup is locked at some arbitrary time before the first game of the weekend. If one of your players doesn't end up starting in his team's game? Tough luck. ESPN, on the other hand, allows you to choose a different player. As long as the player hasn't started his match -- and the player you're subbing in hasn't started his, either -- you can make the change. You have more control of your team, and that will often pay off. It certainly did for me this past weekend. I had selected Raheem Sterling as my Tier 1 midfielder, but Manchester City manager Pep Guardiola surprised many of us by leaving Sterling on the bench. I had a few other options available, but I wanted to choose another Man City player, given that they were the biggest favorites of the weekend, playing at home against Burnley. So I went with Bernardo Silva, and he delivered a goal and 16.1 fantasy points. There are surprises in starting lineups every week, but especially following an international break. Many players have had to travel long distances, particularly those who hail from South America. And some players have picked up knocks while playing for their national teams. Liverpool's starting lineup was a big question mark this weekend, with Mohamed Salah and Sadio Mane both coming home early after suffering injuries. In the end, Salah did start, but Mane was not deemed fit enough to make the squad. And Roberto Firmino, who had started for Brazil in a game against Argentina in Saudi Arabia on Tuesday, was on the bench. If you had picked Mane or Firmino for your fantasy team, you had other options. Liverpool's game against Huddersfield Town was on Saturday, although it was the late game -- seven games were already in the books. The Manchester City game was earlier in the day, giving you even more flexibility. But you don't have much flexibility, if any, when you pick players from the last game of the weekend ... a lesson I learned with my La Liga fantasy team on Monday. I had chosen Girona's Christhian Stuani as my Tier 2 forward, and I'm sure many other people had as well. Stuani had scored eight goals in the first eight games of the season, and he was the league leader entering Matchweek 9. Unfortunately, Stuani was a surprise omission from the Girona starting lineup for their game against Real Sociedad. He'd been away with Uruguay during the international break, and Girona manager Eusebio Sacristan decided to rest him. Now I was faced with a dilemma. If this had happened on Saturday or even Sunday, I would have had plenty of other options to choose from. But with this being the last game of the weekend, it was slim pickings. I could stick with Stuani and hope he'd at least come on as a substitute. Or I could replace him with a Real Sociedad player. There were actually three Real Sociedad players available in Stuani's tier. But two of them were also on the bench, Willian Jose and Juanmi. My only real alternative was Mikel Oyarzabal. Oyarzabal had 12 goals and five assists last season, but he's not off to a great start this year. He went without a goal or assist in the first seven games of the season. Oyarzabal did break through with a brace in Matchweek 8, but both goals came via penalty kicks, and I'd actually recommended not picking him. However, with Stuani on the bench, I decided to go with Oyarzabal. Real Sociedad were favored, and playing at home. And I just couldn't stomach sticking with a player on the bench, with no guarantee he'd even get in the game, when I could choose a decent player who was in his team's starting lineup. In the end, the move paid off. Oyarzabal didn't do a whole lot, but he did have two shots on goal in what ended up being a scoreless draw, and finished with 6.7 fantasy points. Stuani was brought on, but not until the 72nd minute. He finished with just 0.9 points, although Stuani did have a decent chance to score late. The takeaway here: Be extra careful when picking players from the last game of the weekend, because there is added risk in doing so. A similar situation happened in the Premier League on Monday. Arsenal's Pierre-Emerick Aubameyang, a Tier 1 forward, and Aaron Ramsey, a Tier 2 midfielder, were both on the bench against Leicester City. But at least you had clues in this case. Aubameyang and Ramsey didn't start in Arsenal's last game prior to the international break, either. Also, it didn't matter with Aubameyang. He scored a brace off the bench for the second game in a row. But, in general, you don't want to have players on the bench in your fantasy team. There's another Monday Premier League game this coming weekend, by the way. But it will feature two of the "big six" clubs, with Tottenham hosting Manchester City. That means you'll have another very good option if, say, Sergio Aguero is a surprise omission. You could switch to Harry Kane. But you won't always be so lucky.